A plant belonging to the Asteraceae family that bears flowers with white ray florets with a yellow disc. 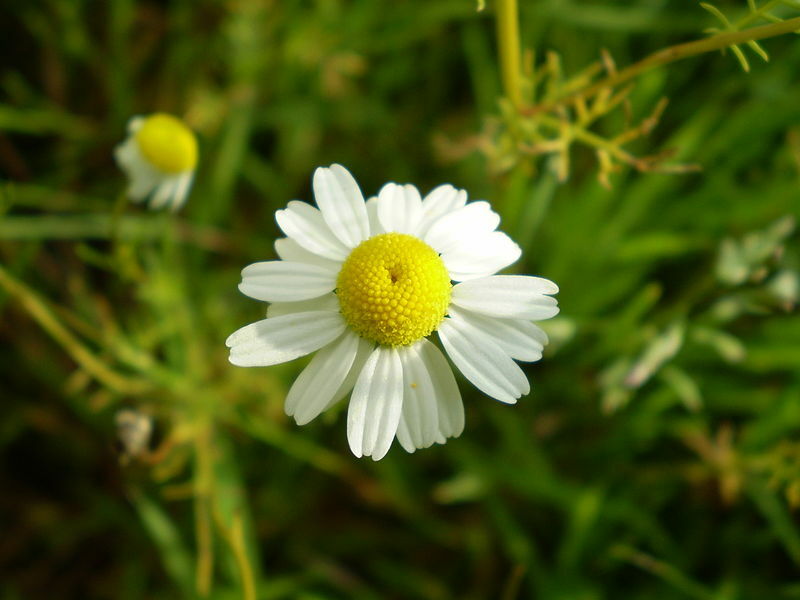 In homeopathy Chamomilla has many uses, most famously know for its uses with children. These include Teething, Colic, Diarrhea and Pain. Is Homeopathy available on the NHS? Homeopathy has been available on the NHS since 1948. The Royal Homeopathic Hospital treats around 2000 patients per week. There are currently still 4 Homeopathic Hospitals active on the NHS, based in London, Liverpool, Glasgow and Bristol.